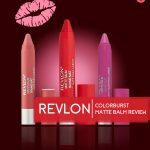 Revlon ColorBurst Matte Balm Review And Shades: Worth Your Money? 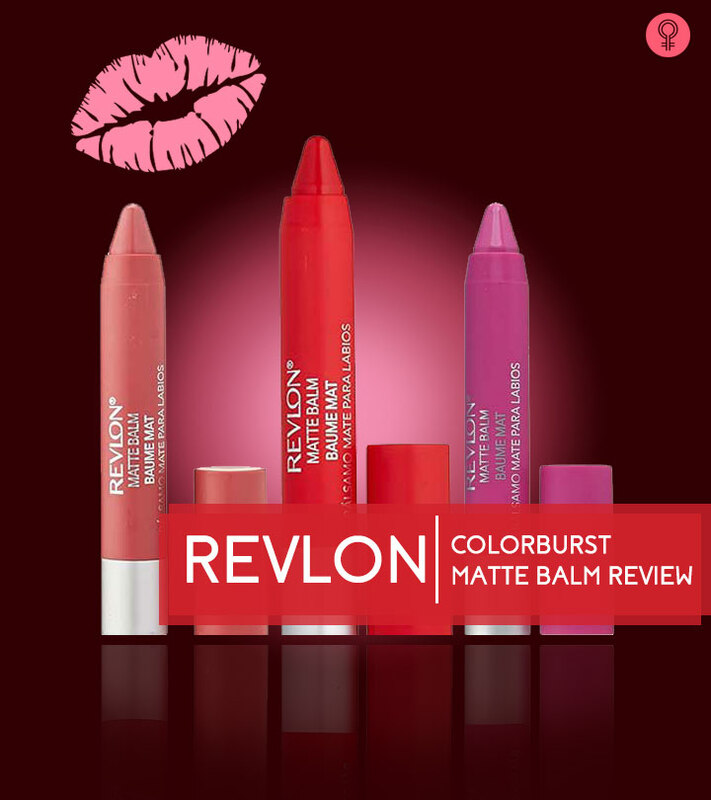 Revlon ColorBurst Matte Balm is a balm with a twist! Its minty scent and taste are extremely soothing on the lips. 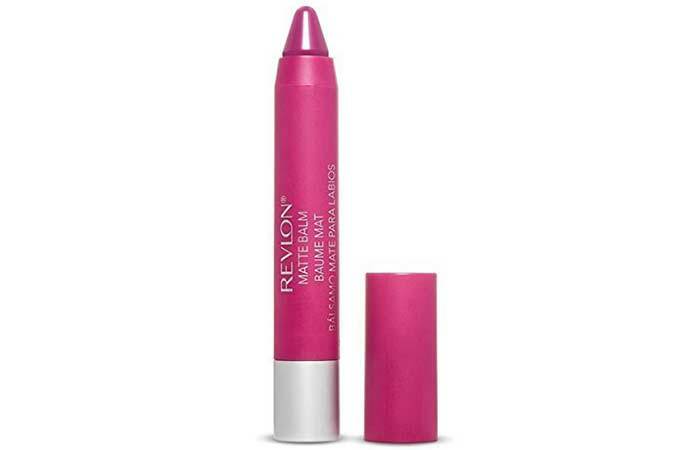 It easily glides on your lips without tugging or dragging, and it comes in a whole bunch of shades to suit your moods. Each vibrant color is infused with a Triple Butter Complex of shea, mango, and coconut butter to give you bold, beautiful lips. Go bold and get moisturized in its craveable, collectible shades. Let’s take a quick look at what this matte balm has to offer. The Revlon ColorBurst Matte Lip Balm comes in a standard twist-up, crayon-like packaging. It looks like a color-coded chubby stick or a jumbo lip pencil, and its pencil gives great precision during application. It has a sticker on the bottom with the name of its color and code printed on it. You don’t have to go through the hassles of sharpening. It’s easy to use and easier to carry around. I don’t enjoy wearing lipstick on a daily basis – especially to work or when I’m out running errands. I have pretty dry lips, and they always need a little boost of hydration to keep them looking and feeling good. 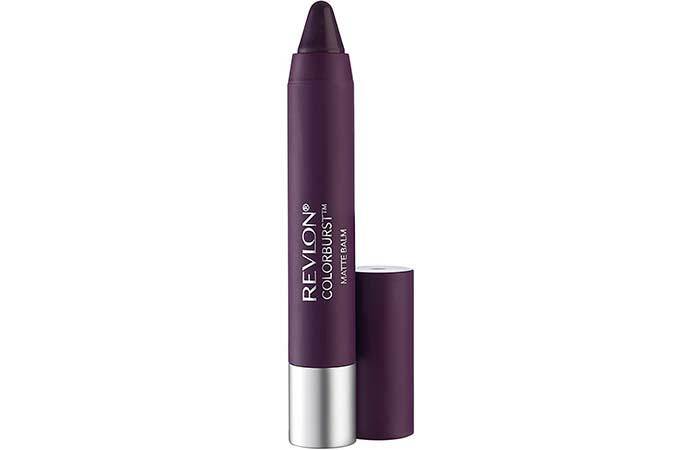 I came across the Revlon ColorBurst Matte Balm on a trip to the makeup aisle of my local drugstore, and I had to give it a shot – it’s tinted, it’s balmy, and it’s matte, so I thought, why not? Here’s my experience. Read on to find out if this is a hit or a miss! 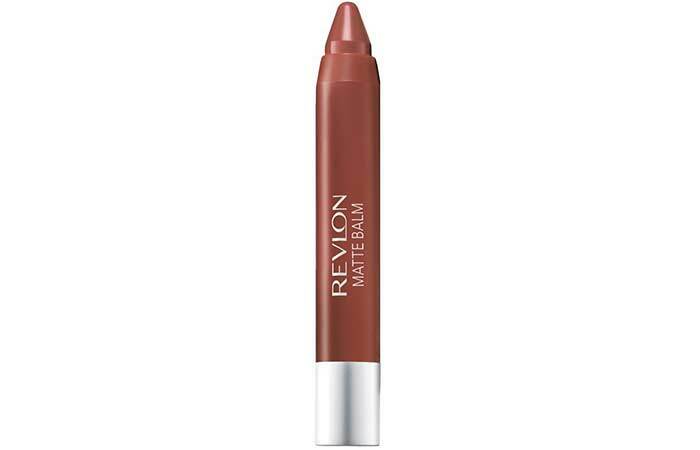 This matte balm by Revlon has a velvety, creamy texture that glides smoothly on the lips without tugging or pulling your lips. It’s so smooth and buttery that it has the power to make one crave for some mint chocolate. It feels comfortable to wear, and it has a fresh minty fragrance. Because this sets into an almost matte finish, it does not transfer much. This balm stays on for a good 4-5 hours without heavy meals, like most lip products. It can survive coffee or drinks, and touch-ups are easy. I was quite impressed with the pigmentation of these matte balms. Some shades apply beautifully while you may face some difficulty with others. Since it has a true matte finish, it can accentuate the appearance of lines or dry patches on your lips, so make sure you exfoliate well before you go in with it. The peppermint flavor may also irritate extremely sensitive lips. 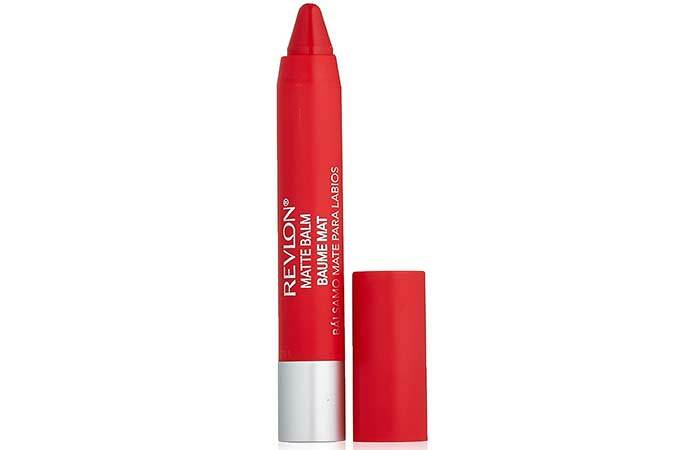 On the whole, the Revlon ColorBurst Matte Balm glides onto your lips effortlessly and imparts an even color on the lips. It leaves your lips with a slightly tingly feeling when applied, which helps in subtly plumping up your lips. I also love how conditioned my lips feel when I wear this. This cool-toned barbie pink will suit lighter skin tones. It takes two coats to achieve a fully opaque finish. Standout is a hot cranberry red and is one of the most popular shades from this range. It’s one shade that will look gorgeous on just about any skin tone. This one’s a reddish-orange shade and makes for a great color for summer. However, it’s disappointing that this shade applies unevenly and is least pigmented when compared to the rest of the shades from this range. This shade is a gorgeous medium bright pink that looks flattering on all skin tones. If you have a medium to dark skin tone, this will look all the more stunning. This is a pale coral color and would flatter deeper skin tones so well. This bright orange will instantly brighten up your face. It suits most skin tones and is great for spring or summer. 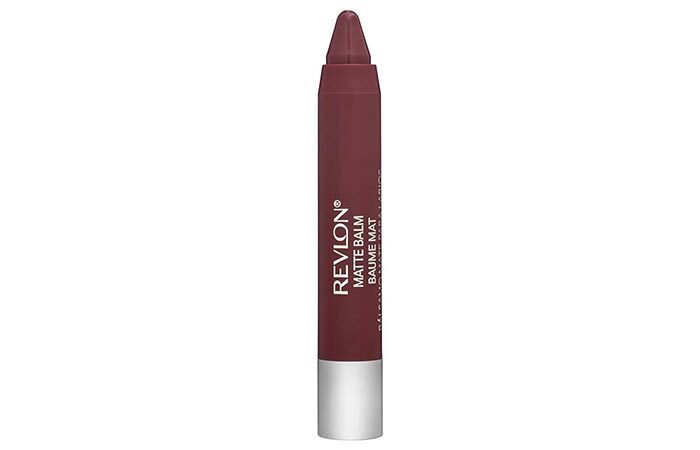 How To Use Revlon ColorBurst Matte Balm? This versatile matte balm can be used on an everyday basis. Here are a few steps to make the most out of the application. You can choose to line your lips for more definition and also to prevent the color from bleeding. 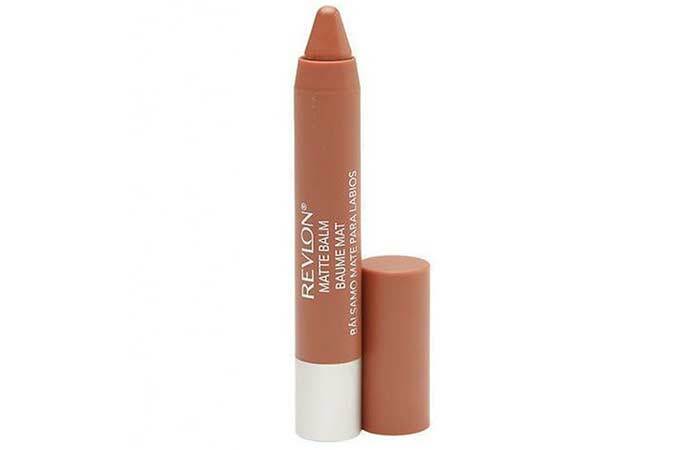 Choose your color and swivel up the balm – start from the corner of your bottom lip and work your way to the center. Repeat the same process on your upper lip. Re-apply as desired for moisturizing shine through the day. Yes, I recommend the Revlon ColorBurst Matte Balm to anyone looking for a drugstore, 2 in 1 lipstick/liner product. They are incredibly easy to use and won’t dry out your lips. Although the shade range is limited, it does have a few must-try shades that you will love. Also, these matte balms are easily available. A tinted lip balm can make a whole lot of difference to add some edge to your pout. 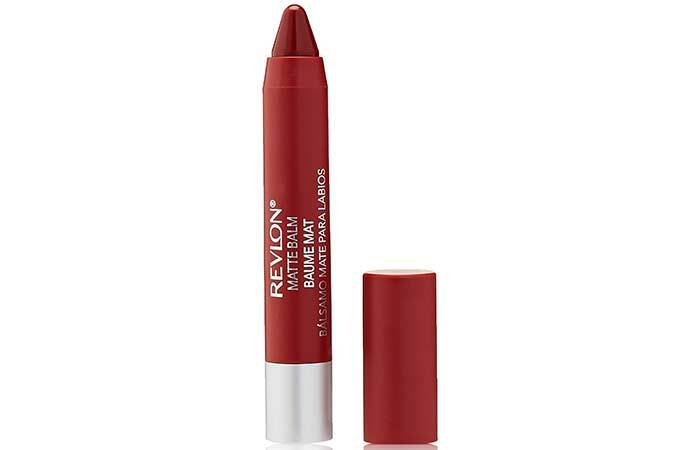 Those were my thoughts on the Revlon ColorBurst Matte Balm, and I recommend just about anyone to try the shade ‘Sultry’. Have you ever tried this product? What did you think of it? Let me know in the comments section below. 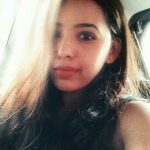 Revlon Super Lustrous Lipstick Review – Is It Good/Bad?